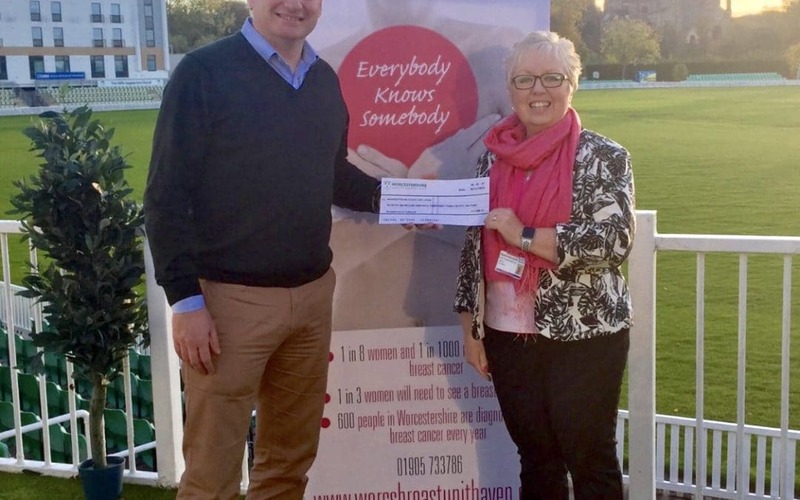 Worcestershire County Cricket Club has raised £3,438.55 for the Worcestershire Breast Unit Haven. The club held a Pink Day in October including a raffle, collection and silent auction for the pink shirts worn by the players to raise the grand total for the charity which is based up at Worcestershire Royal Hospital. If you would like to get involved in fundraising for Worcestershire Breast Unit Haven, please contact Elaine or Jacquie on 01905 733 786.